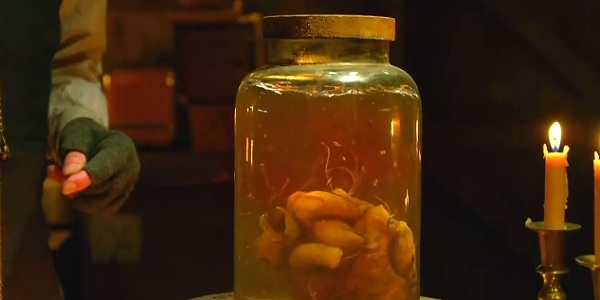 I’d be lying if I said I wasn’t at least partly suspicious that FX’s upcoming horror series The Strain wasn’t just some elaborate social media prank, considering the abundance of creepy footage-free teasers that have been raining down upon the Internet in recent weeks. My fears are allayed now with the first actual trailer, giving us a really good look at what this series will be. 30 seconds isn’t nearly enough time, but its point is still well made. 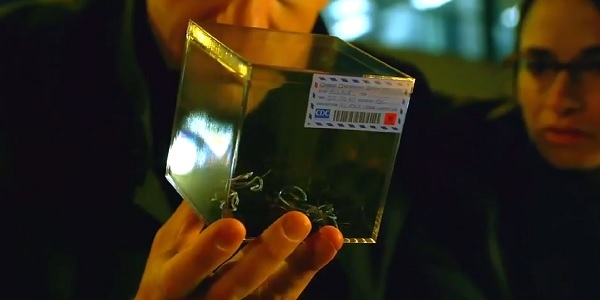 The bulk of this footage apparently comes from the pilot, which was written and directed by the visionary Guillermo del Toro and author Chuck Hogan, who co-wrote the Strain trilogy of novels together. The story begins in New York with a CDC team investigating an airplane that mysteriously stops in the middle of JFK's tarmac and all communication is lost. As you might imagine, everyone on board is dead. Or are they? The case is being led by Dr. Ephraim “Eph” Goodweather (Corey Stoll), head of the CDC’s Canary Project, who brings his team out and soon finds that this is no mere humanoid outbreak. Meanwhile, a professor and Holocaust survivor named Abraham Setrakian (David Bradley) has seen this kind of thing before, and it must be destroyed! People begin showing signs of a virus as passed on by vampiric parasites in the form of worms. New York City will never be the same. But can the virus be stopped? This still-beating heart can’t be. Eph and Abraham are joined by scientist Dr. Nora Martinez (Mia Maestro) and a few others to try and stop this deadly contagion before it’s too late. To me, it already seems too late as soon as that plane stopped moving. I guess that’s why the CDC rejected my application. I can’t wait to see how the novels translate to TV, especially since FX generally allows anything and everything to go on without much censorship. Del Toro is a master of set design and creature work, and the mythological feel to the story should inspire some detailed and unsettling visuals unlike anything else on TV right now. No True Blood over here. Just vicious face worms. Also starring Sean Astin, Robert Maillet, Francis Capra, Kevin Durand, and more, The Strain will give FX some bite when it premieres on Sunday, July 13.